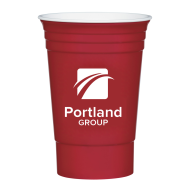 The Mines Press collection of personalized plastic cups includes great options for you to choose from for your next promotional event. When imprinted with your company logo, they can be a powerful promotional tool to give away at picnics, school fairs, street fairs, ball games or any other crowd-gathering event. 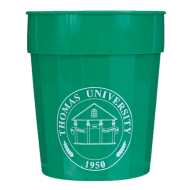 Our promo cups are useful, inexpensive, colorful, and they are all made of FDA-approved materials. Custom Stadium Cups are Fun for Everyone! 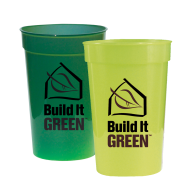 When you choose custom plastic cups to promote your company, organization, or team, you’ve already made a step in the right direction. Custom stadium cups are ideal for fundraisers, sporting events, and school functions, and are a big hit with kids and adults alike! Choose from a wide selection of shapes and sizes, and an even larger assortment of colors. 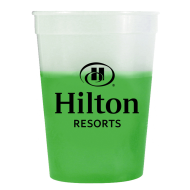 You will certainly have plenty of customization options when you’re designing your custom plastic cups. Order your custom plastic cups today!